...and also because the current sticky's link doesn't seem to go to the article that's off-site anymore. I figured I'd post an on-site write up for everyone. Disclaimer: Dry Ice is extremely volatile and should only be used by adults or under the supervision of one. 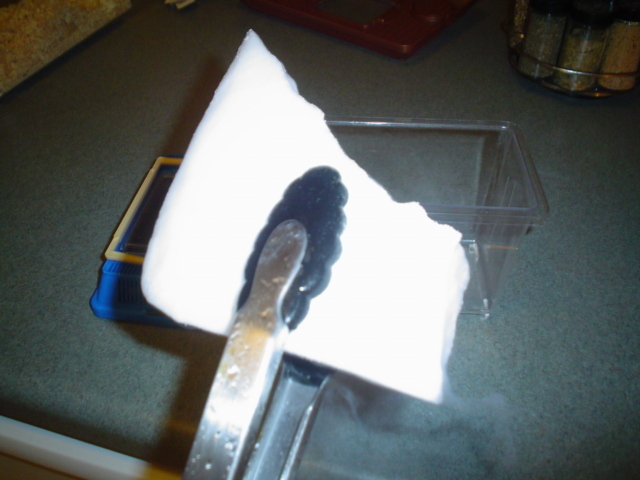 You do not need to add water to dry ice to increase the rate of sublimination, doing so can result in explosive boiling of the water. Do not come into direct contact with the dry ice. Use tongs to handle it, and if you need to break it up, make sure it is in a bag so debris doesn't go flying into your eyes. Use common sense. 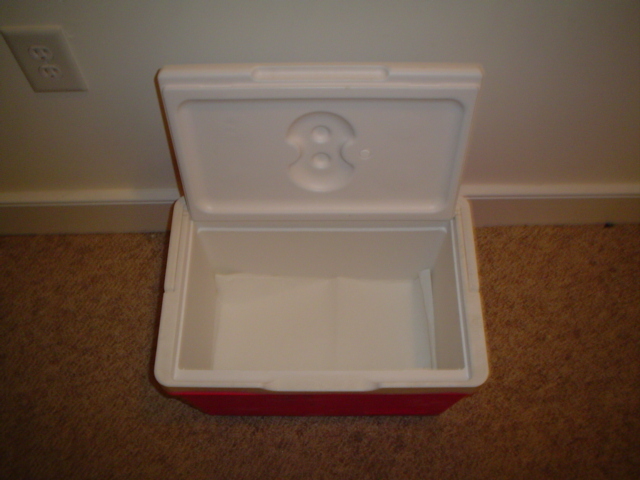 Step 1 - Get your cooler ready. I put down paper towels to catch anything gross and make cleaning easier. 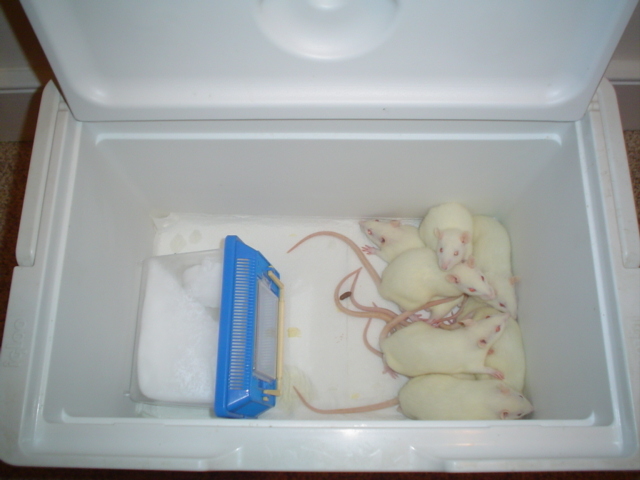 Step 2 - Put your rats in the cooler. 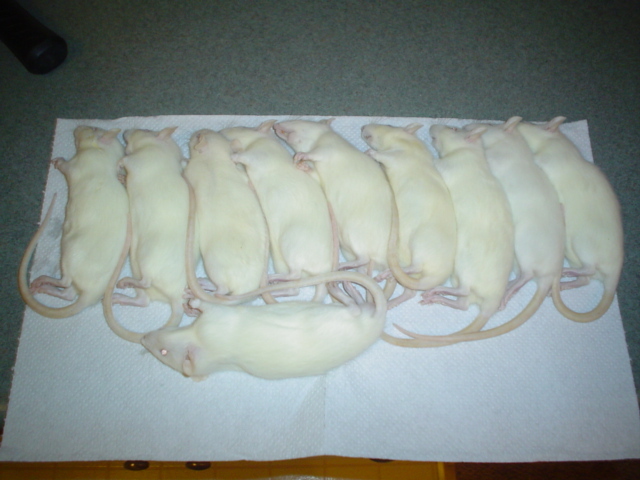 I had 10 medium sized rats. Step 3 - Break off the right size piece. I had a 5 lb block, and used maybe 1 lb of it. This stuff will freeze your fingers instantly so please use tongs to handle it. Step 4 - Place it inside some kind of container where the gas can get out but the rats can't get in. This stuff is really cold and I picture a bunch of rats with their tounge frozen to the block (like the kid who licked the ski chair lift, ok nevermind). 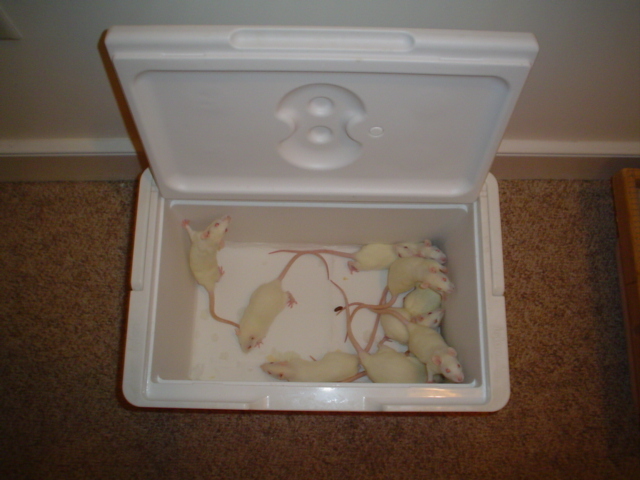 Step 5 - Place the container in with the rats, and close the lid. 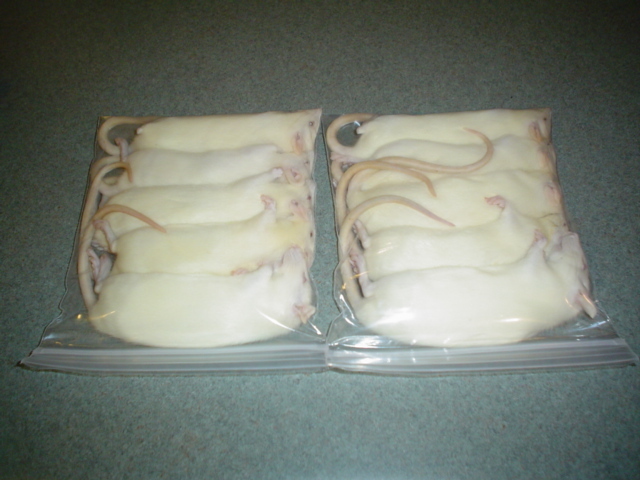 Step 6 - After about 5 mins, you've got a bunch of clean, humanely euthanized rats, ready for the freezer. Wonderful write up Brad. The pictures are great too. is the dry ice able to seep out of the cooler also? if the pressure from the gas is allowed to build up it can blow. The cooler definitely isn't air-tight, but not open enough to let the CO2 out anyway. Per my chem-major girlfriend, CO2 is heavier than oxygen, so as the CO2 collects at the bottom, it pushes the O2 up. It only took about 4 minutes total, the rats were asleep within 2. I don't think enough pressure could build in that period of time anyway. aaw, i see. good method! I just think this way works a lot better and simpler than the method in the sticky already here. Who wants to mix vinegar and baking soda in a bag? Then your rodents smell like vinegar. This was was very quick, very clean, and seemed very easy on the rats. They just went sleep and that was it. Just went outside and had a little fun with the rest of the Dry Ice...put it in a tub of water and you get a cool witches brew! 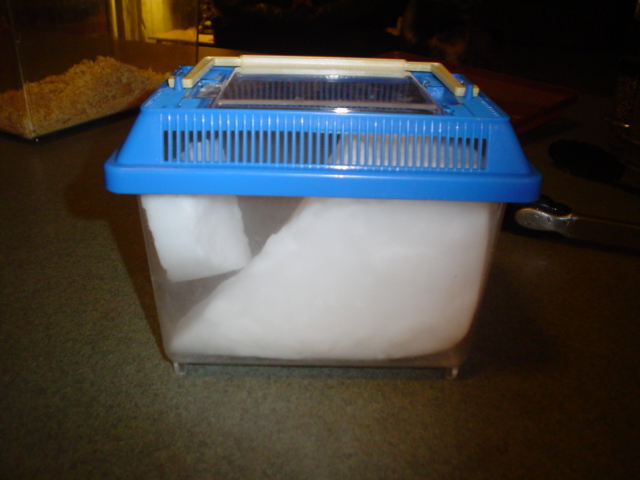 Would putting the dry ice in the cooler before putting the rats in, make a difference? Awesome and very detailed write up! I'll get the photos moved so you don't have to use your gallery space if you don't mind it becoming the new de facto sticky. "I don't FEEL tardy . . ."